Breaking news! 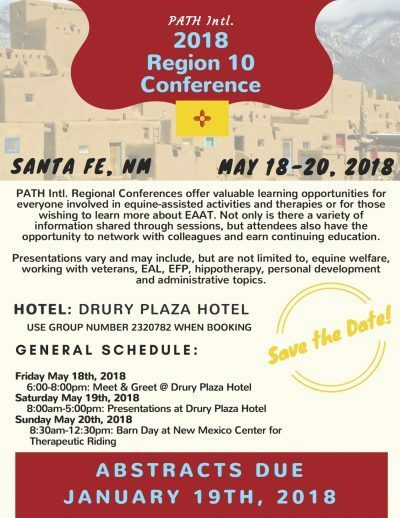 NMCTR has been chosen to host the annual PATH International Region 10 Spring Conference in Santa Fe! We are very excited to have this opportunity to invite other Region 10 participants to visit and explore our facilities during this conference, while enjoying a wonderful weekend of speakers and activities in our enchanting city. Please consult the conference flyer on this page for details and mark your calendars! We will have more information up on this page as we get closer to the event. Hope to see you there!